Love to win free cloth diapers? 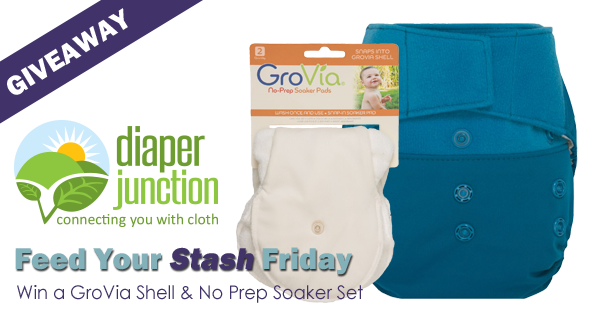 Enter to win GroVia this week at Diaper Junction! I would pick cloud If I won ???? I want to try these so badly! I have tried most of the Grovia products, but I haven't had a chance to try these yet. I would choose abalone or chiffon. I would love to try this hybrid set. I will choose Woodlands remix print of I am lucky to win! I would pick spree if I won! It's beautiful!! What a great giveaway! Love GroVia & Diaper Junction! I would choose woodland remix. I'd love to try these! I would love to win these diapers! I would choose the Woodland remix. I have my fingers crossed. We are definitely a GroVia family! We love grovia the hybrid is our go to for my little ones grandparents. I'd choose Onyx Stripe if I win! I love grovia, it fits my bebe very well! I would choose Rose, Onyx, or Abalone,depending on what's in stock. Fun giveaway, thanks for this opportunity!!!! I would love the woodland remix! So many choices I would probably pick a solid colored as we don't have any of them yet.. I've been using grovia newborn diapers and would love to try the one size on my two year old! The link is a little off. It doesn't link to grovia diapers. In grovia prints, I'd pick calico I think. I would choose Chiffon, such a pretty yellow! I've never tried grovia, it'd be interesting to see how they work with my boy. I'm a sucker for prints. I would love to win! My baby boy is due in 17 days and I'm trying to build my stash! I would choose the Whimsy. I think I would choose To the Moon. Maybe Turtle. Probably To the Moon. I want them all! But whimsy has always been a wish. I would choose the Amethyst. I think I'd choose the Dotty pattern of the Heavy Wetter all in one. I would pick beautiful abalone!!! I would pick Rose or Calico?? They are both SO pretty!